River of Life Worship Center is a Pentecostal Church. 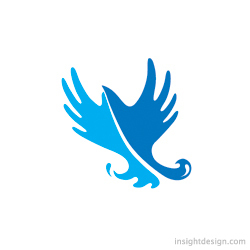 The logo depicts both, hands reaching for God and a dove, the Christian symbol for the Holy Spirit. Logo design nearby Wichita.